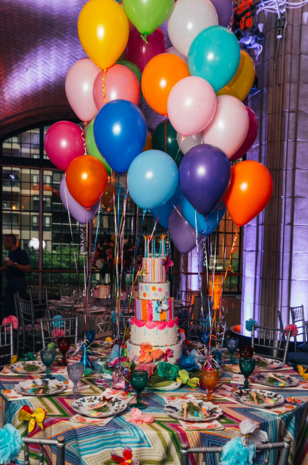 Nearly 30 design firms put on their party hats for this year’s Hope Lodge Birthday Bash fundraising gala. 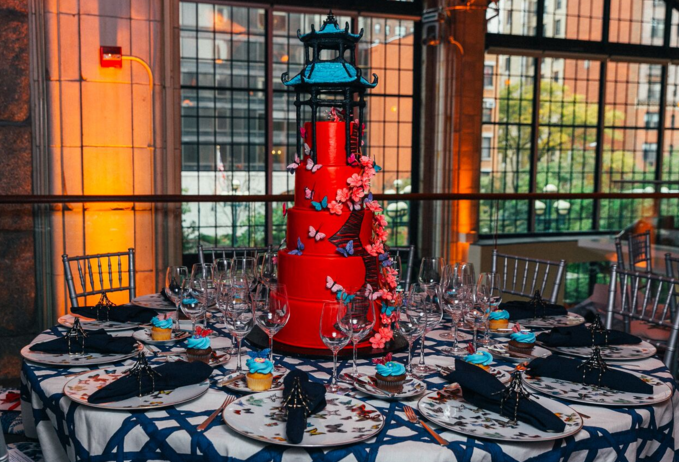 The gala featured the designs of Milton De Paul for Samuel & Sons, Brett Helsham Designs, Peti Lau, Marc Normand Gelinas, Arlene Angard Designs and more, each one hewing to a birthday-party theme and raising more than $500,000 to benefit the American Cancer Society’s Hope Lodge. Since its founding in 2007, Hope Lodge, 60-room center that provides free housing to cancer patients and their caregivers, who come from all over the world, has provided more than 158,000 nights of free lodging to about 17,000 guests, resulting in a combined savings of over $55 million. “Fighting cancer can be not only physically draining, but financially draining as well. 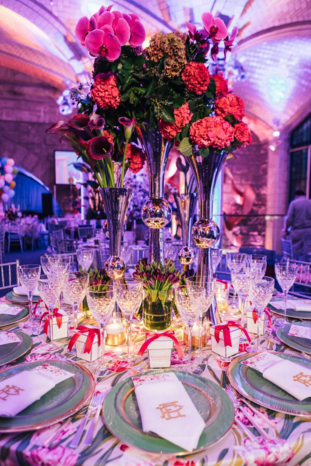 Hope Lodge NYC provides facilities that allow patients to get the most cutting-edge treatments in New York without worrying about where they will stay,” said Guillaume Gentet, co-founder and co-chair of the Hope Lodge Bash. 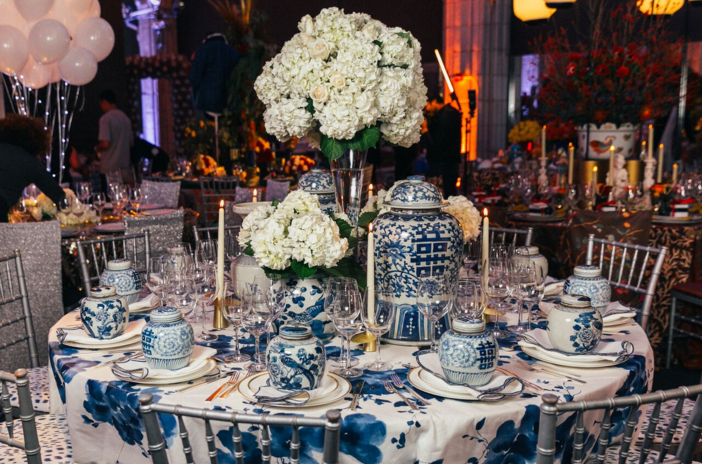 Partners included Brunschwig & Fils, Christofle, Conair, Cuisinart, Generic Brand Human Media Production, Kim Seybert, Kravet, Lee Jofa, Lenox, Mottahdeh, Osborne & Little, Paul McCarthy, Robert Allen, Roll & Hill, Sahola Floral Art & Event Design, Samuel & Sons, Style Library, Taffard Fabrics, The Work Room Inc., Thibaut, Torta Fina Bakery, Twig NY, Vista Alegre and Voluspa. 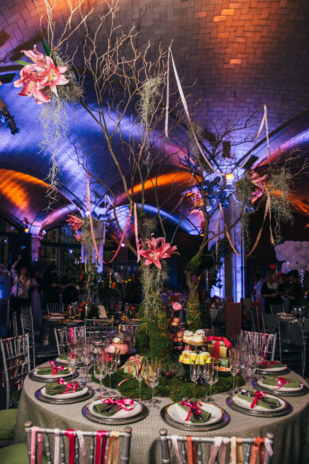 Held at Guastavino’s, in New York, the evening was hosted by event chairs Ron and Sandy Diamond and decor and design chairs Gentet and David G. Carpenter, along with Michael Aram, who served as honorary design chair. Among the many hands on deck were The Workroom, which provided many of the evening’s tablecloths, napkins and chair adornments; Sahola Floral Art & Event Design, which worked with many of the designers; and Generic Brand Human Media Productions, which contributed video production and photography for the evening. Silent auction items were donated by Adam Handler Studio, Adrianne George Studio, Age of Reason Studios, Areaware, Assouline, Aviva Stanoff Design, Avra Restaurant, Bar Italia, Christofle, Juliska, Karen and Jerry Radwin, Lenox, Lisa Kerson, LMichael Aram, Moser, Mottahdeh, Nambé, Oly Studio, Wayne and Kathy Kaplan, among many others.